Outside of that, this is the same Overcooked! that I loved two years ago. 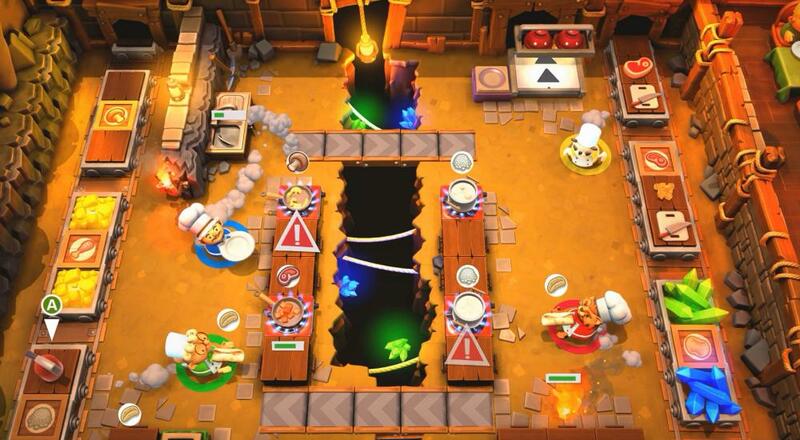 In the Story mode, you progress through levels that increase in difficulty by adding new stage/environmental hazards to work around, new recipes that require multiple steps to complete (I think baking a cake is easier in real life? ), or a combination of the two. Cooperation is absolutely required if you want to get three stars, but that doesn't mean you can't enjoy an opportunity to occasionally grief a buddy. Whenever someone asks me "what's a co-op game you'd recommend for anyone," Overcooked! is always my first answer. I played through the entirety of the first game with my partner, I gifted it to my nephew/niece for Christmas last year when they got an Xbox One, and I told a family friend they should get it to play with their kid; it's just that fun/good. Now, I can tell all those same people, "guess what? There's a sequel that's just as fun and we can play it together!" It doesn't get better than that. Page created in 0.4531 seconds.